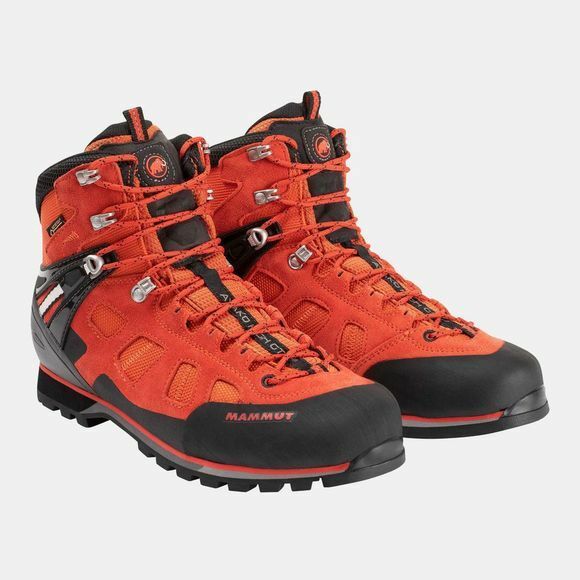 The Mens Ayako High GTX Boot from Mammut is a velours-textile shoe developed specifically for via ferrata–lightweight, direct, close-fitting and close to the ground. 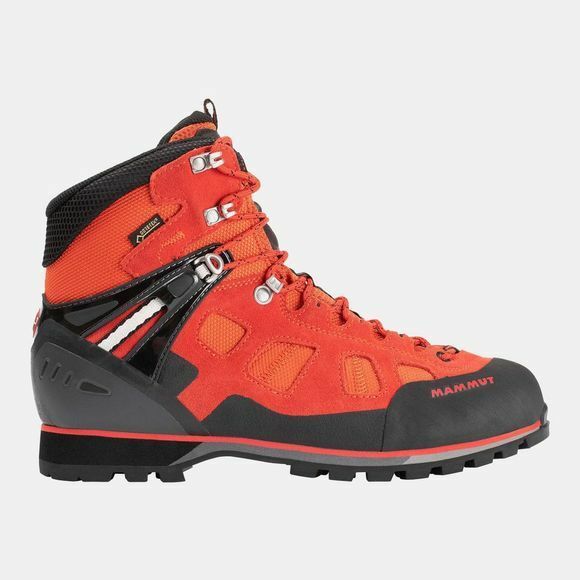 With Base Fit, external TPU Motion Control, FeetMap climate regulation, integrated memo foam and a pre-shaped tongue with elastic Gore-Tex construction. The 3-zone lacing, Gore-Tex Performance Comfort Footwear membrane and the proven, lightweight and climbing-compatible Vibram Mulaz sole with integrated Climbing Zone provide additional comfort, a precise fit and safety.